The most ravishing place in India and much of historical importance, Hyderabad is full of treasures. One can relive the history while traveling here. A visual treat for all! Hyderabad is a city where history meets culture. It is a place which leaves you spellbound. The forts and the temples have their own story. Missing those stories is not a good thing. It is one of the historical places to visit in Hyderabad. Built on a hill, it tells the stories of several dynasties. The Fort actually is the reminiscent of Golconda city. The famous Fateh Raben is situated here. It is the canon used by Aurangzeb. 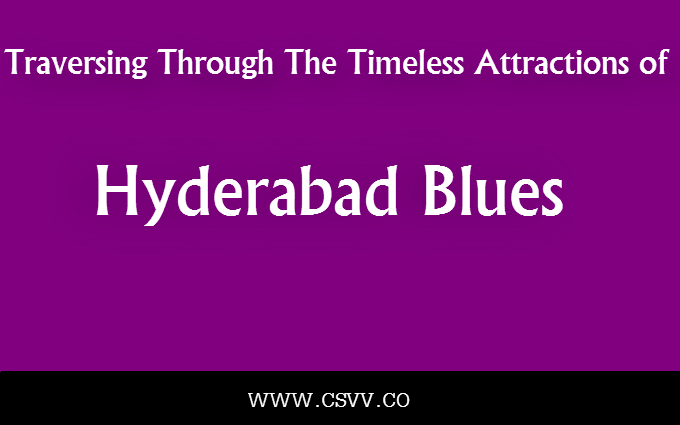 The epic signature of Hyderabad, it is located in the heart of old Hyderabad. It is surrounded by Mecca Masjid and Laad bazaar. It has four minarets, which are almost 50 ft height. It also has a mosque inside. Set in the backdrop of beautiful Ibrahim Bagh, it is another historical place of the city. It showcases the Persian, Hindu and Pathan architectural designs. It is dedicated to the seven kings who ruled this city for almost 170 years. It is one of the heritage monuments in Hyderabad and the oldest and largest mosque of India. This 400 year old mosque is built with the soil of Mecca. Thus, the name! Built by the local Oriya people of Hyderabad, it is the exact replica of the original Jagannath Temple in Puri. The Shikhar or the monument is almost 70ft high. It is made by red sandstone and marble. It is located in the south of Hussain Sagar Lake. It is a modern temple built on the Kala Pahar. It has a south Indian style of construction. The exotic epic scenes of Ramayana and Mahabharata are engraved here. The shrine situated inside the temple is of Tirupati Venkateshwara. A fun place where you can spend a perfect family time. The magical themes of cinema make it the most ideal holiday destination of the city. It is the world’s largest film city, which has cartoon structures, royal forts, restaurants, kid’s park and many more. The wonderful ecological park where one can find plenty of attractions. Apart from animals, there are toy trains, kid’s park, boating and large aquariums. It also has a reptile house. Kids will love to visit this place. One of the must see places of the city. It is a premium museum, which has almost 40 galleries. The artifacts that are displayed here range from 2nd century BC to early 20th century AD. This ancient city is one of the most attractive places of Hyderabad. Nagarjuna Sagar Dam with 26 gates and hydroelectric plant! This place also has a waterfall known as Ethipothala, which is a 70ft high river cascade. The other attractions here are 2000 year old Jain Shrine at Kolanupaka Village. This old empire is 100 km away from Hyderabad city. It has beautiful lakes, gardens, flora and fauna. Do not miss this place when you are visiting Hyderabad. So, do not waste your time. Book your train tickets for Hyderabad and do not forget to look to the sites for delivery of food in trains for an enjoyable journey.